Prescod as he made his first appearance in court on Friday. One of three charged last week with importing half a million dollars in drugs, remains on remand as he seeks to secure a surety. Walter Oneal Prescod, 55, a sailor, of Emerald Park East, St. Philip was the sole accused remanded on Friday after failing to secure sureties to cover his $450 000 bail. 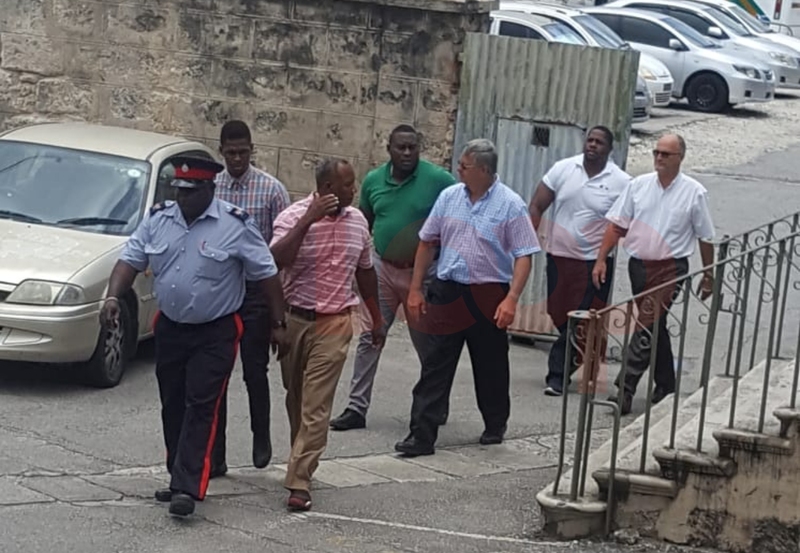 Prescod along with Arthur Charles Herbert 62 years, a Company Chairman, of Redland Plantation, St. George and Christopher Glenn Rogers 56 years, a Company Director, of York Road, Navy Gardens, Christ Church appeared before District "A" Magistrates' Court on Friday. 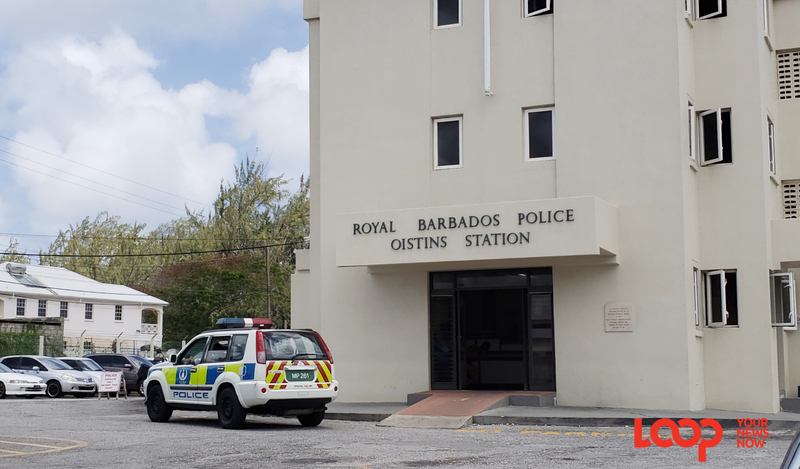 The three were not required to plead to charges of possession, trafficking, supply and importation of cannabis and were granted bail even after the prosecution objected. 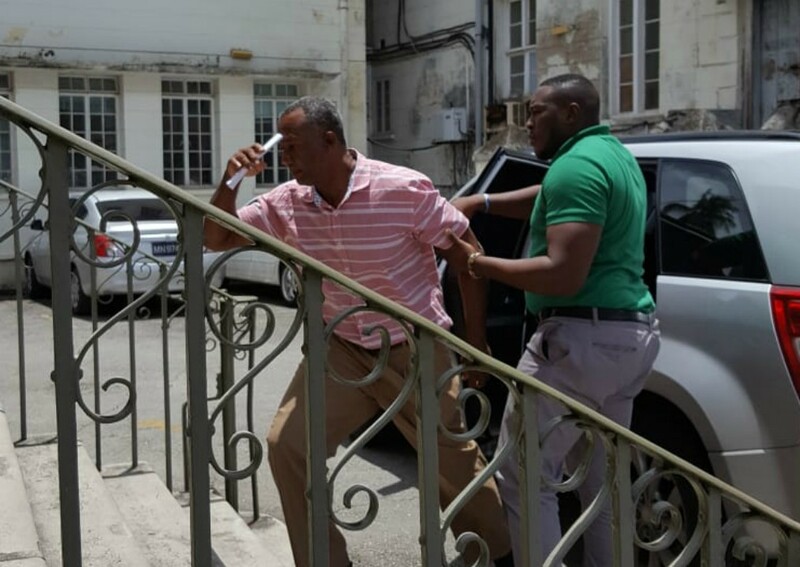 Herbert and Rogers walked away on $400 000 bail each after lawyer Andrew Pilgrim argued successfully on their behalf. Attorney-at-law Shadia Simpson appeared on behalf of Prescod; she is holding papers for counsel Arthur Holder. Prescod's wife told the court that she had secured one surety but was yet to find another. She asked the court to give her two weeks to do such. Magistrate Douglas Frederick granted the request and remanded Prescod, yet again, until August 15. 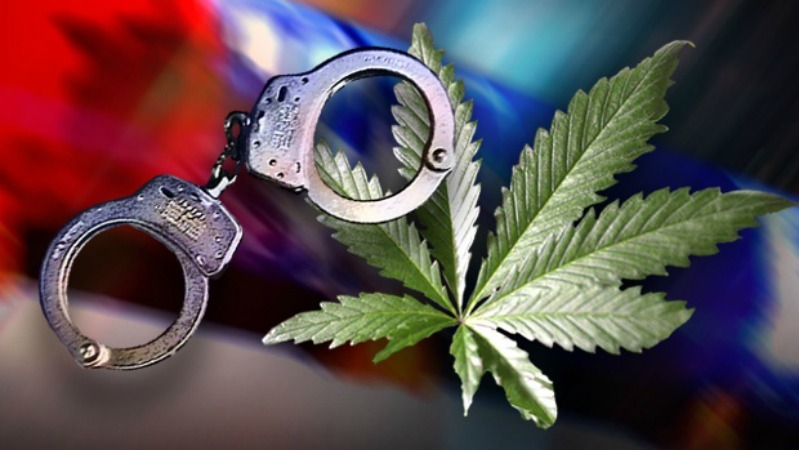 According to a police report $534, 160 worth of weed was found on a vessel at the Bridgetown port on May 23.